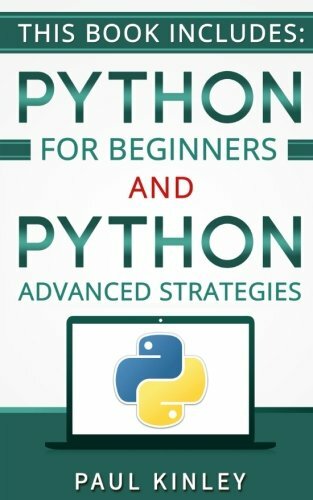 [PDF] Python: Python for Beginners and Python Advanced Strategies | Free eBooks Download - EBOOKEE! Description: Python: 2 Books in 1: Python Beginners Guide and Python Advanced Strategies to Reach advanced level of Python in less than 12 hours. (Python Mastery, Object-Oriented Programming, Fundamentals Mastery, Programming Book) 60 % Discount if you download this book bundle right know Go From a Python Beginner to Python Advanced Level in Less than 12 hours with these 2 books! By having a advanced level of python skills a high wage job at numerous cooperations is almost secure. As this python book, will enhance you in the first part with basic python skills. The second book will enhance these skills and bring you to a advanced python level. No questions asked!!! This python book bundle provides you with all relevant tools and strategies to master python within 12 hours. The beginners guide will give you all the basic knowledge about python or will deepen you current know-how. You will start at the right point with this python book. But if you re already past the beginners level, this bundle is the best option for you to get to the advanced level of python. Book 2 provides you with advanced strategies based on the beginners book. You will easily fly to the advances level of python with these 2 books. Here is a snapshot of what this book offers The syntax of Python Python variables Lists String formatting Advanced Tips and Tricks For Python Utilization Coding examples of exactly how your code should appear when executing a particular module Python Functions and Modules Common mistakes frequently made with Python Tuples Mistakes Python users typically make and how to avoid them Using Python for Math Strategies for using Python Lists and Tuples And More! Are you ready to boost you python skills and become a master python programmer? No comments for "[PDF] Python: Python for Beginners and Python Advanced Strategies".